One of the amazing and wonderful places that could excite you with its natural beauty and cool weather is the valley of Dehradun in the state of Uttarakhand. It is one of the cities in India that attracts maximum visitors from all over the world for its beautiful landscapes, scenery, hills, mountains and modern amenities. Its situated just at the down hills of the Himalayan ranges and the city forms a beautiful valley surrounded by hills all around. Tourists from all over the world come to this place filled with sacredness of the old temples and the soothing light climate that refreshes anyone who comes here. Having the famous hill station of Mussoorie and the sacred pilgrimage places around like Rishikesh and Haridwar, it attracts visitors from all over the states in India and also abroad. Surrounded by beautiful Himalayan Mountains Dehradun valley is an example of scenic beauty. This city is easily accessible from all metros of India especially the capital Delhi. It is also the capital of Uttaranchal state and hence have had much of the development with malls and multiplexes to be enjoyed. The tourism here is growing to its extent every day. People come here to enjoy the nature and mountains. The city has lots of travel points like the big government organizations of ONGC, Forest Research Institute, Indian Military Academy and Institute of Petroleum to name a few. You have fun and frolic in the various picnic spots and tourist destinations such as Sahastradhara, Guchhupani, Malsi Dear Park and Fun and Food Parks in Dehradun. One could find the amazing famous temples with great architecture here and to name a few are the popular temple of Tapkeshwar, Shiv temple on the way to Mussoorie, Buddha and Sai Baba temple. Off course one could enjoy the snow falls at the famous Mussoorie and Dhanaulti hill stations. 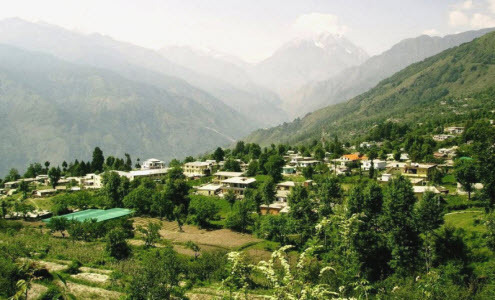 If you have made up your mind for an exotic trip to the place and to spend some of your time in the refreshing air of the Dehradun valley then look no further and just book your ticket to the place. One can easily reach Dehradun by bus, road, rail or air as it it accessible from everywhere. There are a number of trains from major cities in India both AC and non AC directly to the railway station here. If you are planning by road then many private and govt buses come to the city and there are also flights to the city majorly from Delhi which you could take for a quick travel. One can come to the city in various months of the year as per your choice and timings as its quite cool here all year round as per the weather goes here. The city is located among the hills and mountains so the climate if normally pleasant throughout the year. It comes between 44.5C to 16.7C during summers and 23.6C to 5.4C during winters. If you are fond of snow time then you should visit Dehradun in November-December in winters. While the March-May is the best time to visit Dehradun near to the summers. Being close and at the foothills of the mountain range of the green Himalayan range the temperatures usually remain pleasant throughout the year. The climate is usually matching to the tropical regions with snowfalls during the winter season of Dec-Jan in the neighbouring high altitude places and hills where temperatures fall below 0 degrees. But the temperate in the city do not usually reach freezing point and remains upto minimum 2 degrees. The summers during May to June may have high degrees with temperature rising to 40 with plus minus 2 to 3 degrees. One can find heavy rainfalls during the rainy season with around 630mm of precipitations during June to July. For shopping lovers there are lot of markets in Dehradun. Some of the famous places to shop are Paltan Bazaar, Rajpur Road, Astley Hall, Connaught Place and Tibetan Market just to name a few. One can find huge variety of clothes, jewellery, handicraft items in the place and that too in very reasonable prices that would even suit the economy class. The very popular market of Paltan Bazaar has numerous small and big shops where you could find item and accessories of any kind and at good prices. The popular among the tourists are the litchi and rice in food items and the rural Garhwali handicraft items to showcase in their houses. Apart from the exotic tourist places one could visit in Dehradun there are various exciting travel spots near and around Dehradun in Uttarakhand that could really enthral anybody that goes there. There are cool hill stations like Auli and Nainital that have amazing climate and scenic beauty to see. There are the most famous pilgrimage and holy places such as Haridwar and Rishikesh where large number of tourists comes to see all year round. Apart from all mentioned above the people willing for adventure tourism sports also come here for trekking, mountaineering, and campaigning. Dehradun being a famous state in Garhwal also hosts various fairs and festivals that usually attract the visitors coming from out stations. The city celebrates Jhanda fair after holi, then Shivratri fair and more like that for all the fun and enjoyment. Situated amongst the beautiful valleys, Dehradun, is a very popular hill town and now also a capital city of Uttarakhand state. It is one of the oldest cities in India that has the dedication of King Ashoka which takes us back in 250 BC. The city is set amid the two famous rivers in India Ganga and Yamuna. © 2015 dehraduntravelguide. All Rights Reserved.